China’s total social financing (TSF), a broad measure of credit and liquidity in the economy, grew by a net 2.86 trillion yuan ($426 billion) in March, much higher than a net increase of 703 billion yuan the month before, central bank data (link in Chinese) showed Friday. The latest data suggest that credit growth may now be bottoming out due to the central bank’s efforts to loosen monetary conditions, said Chang Liu, an economist with Capital Economics, in a research note. “However, a rapid economic turnaround is unlikely,” said the economist, adding that even if the recovery in lending continues, economic growth won’t stabilize for a few more months. TSF includes financing that exists outside the conventional bank lending system, such as initial public offerings, loans from trust companies and bond sales. Since last year, the central bank has taken a series of measures, such as five cuts to banks’ reserve requirement ratios as well as allowing them to issue perpetual bonds, to prevent the country’s economy from slowing further. In 2018, China’s economy grew 6.6% amid a debt-cutting campaign and a trade war with the U.S., marking the slowest annual expansion since 1990. 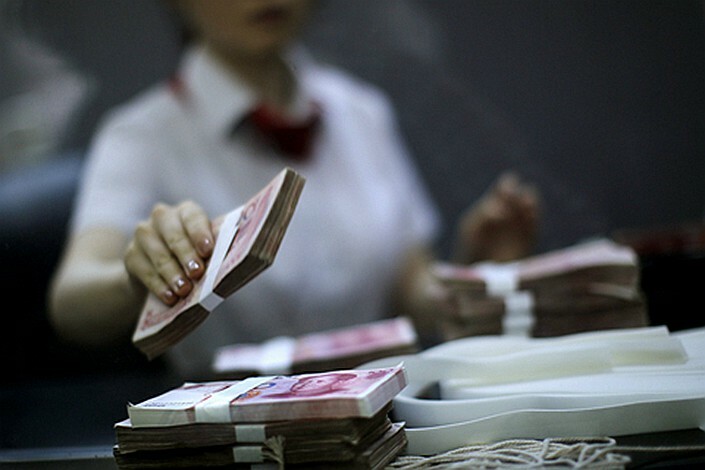 In March, banks made 1.69 trillion yuan in net new yuan loans, up from 885.8 billion yuan in February and up 577.7 billion yuan from the same period last year, central bank data (link in Chinese) showed. China’s outstanding M2, a broader measure of the money supply that covers all cash in circulation plus deposits, grew 8.6% year-on-year at the end of March, up from 8% growth a month earlier, the data show.